There are tens of thousands of species of bees in the world, most of which live out their quiet lives unseen and unheard, not bothering anybody. But sometimes you’ll see a different side of the bee family. You have probably felt firsthand the trait it shares with its wasp cousins, which is, of course, the ability to insert a poisoned stinger into the flesh of all who dare threaten the hive. It’s only mildly poisonous for the average person, but it can cause an anaphylactic allergic reaction in some people—which can be deadly. 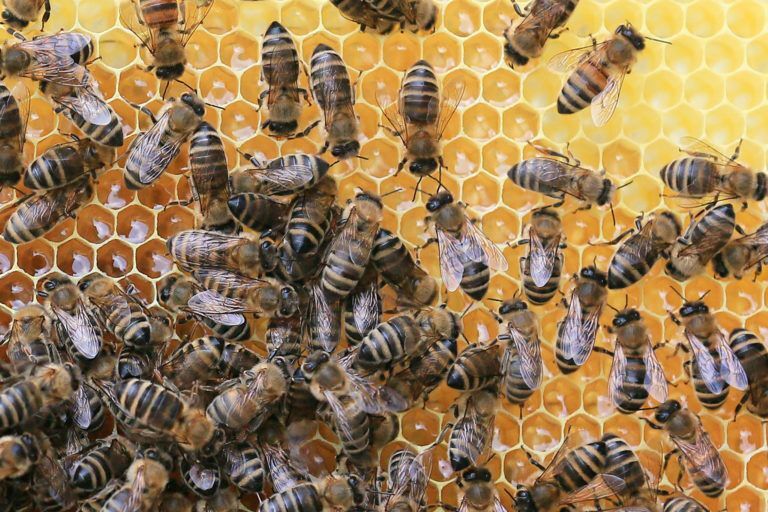 Honeybees—like wasps, ants, and termites—are eusocial, which means they live in a group, with a caste system. In this case, the group consists of a fertile queen with thousands of sterile female workers and a few male drones for mating. It is this living arrangement which allows them to be such efficient pollinators and honey producers. It is also this fact that can make them dangerous, especially in the case of Africanized honeybees, which can be very aggressive when provoked. You might survive or tolerate a few stings here and there, but thousands all at once can kill you. Getting rid of a beehive can be dangerous, and you might want to just leave it to a professional. If you haven’t heard, honeybees and other bees are very important to human survival. You should also know that they have been having some major health problems lately—major and rather mysterious health problems. Likely these problems are caused by neonicotinoids in pesticides causing colonies to collapse. 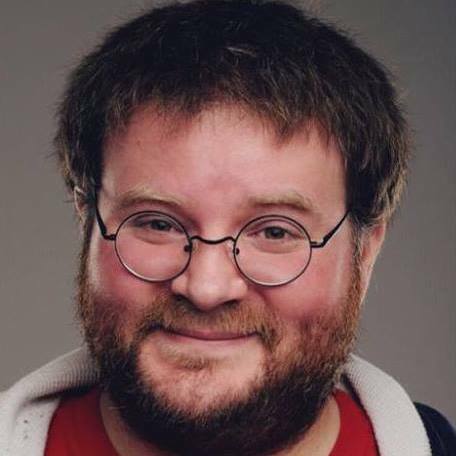 As an apiarist myself, the thought of a perfectly good swarm of bees moving in someplace where they aren’t wanted, where they are going to be killed, just breaks my heart. Buying a new queen and workers can be rather expensive, and raising and dividing hives can be somewhat tricky. If you have a honeybee problem, especially a hanging swarm, you should contact a local beekeeping club and see if anyone is interested. They will usually jump at the chance to take them off your hands. Determining the race of bees will tell you how to get rid of the beehive. Let’s get this out of the way right now: if the hive is made out of a papery substance, it is not a beehive, it is a wasp nest. A wasp nest is a totally different thing; read the article about getting rid of a wasp nest for more information. Look at the bees, if you can. Are they big or small? What color are they? Social bees (the kind that would build a hive) are usually hairy. Honeybees are smaller than bumblebees and are also more of a rusty brown color with darker stripes, whereas a bumblebee is usually a variation of yellow and black. 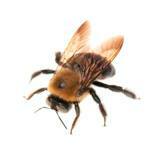 Carpenter bees look a lot like bumblebees, but they don’t have as much hair on their abdomens. Locate the hive, inspect the surroundings, plan your attack. If you’ve been stung a few times in your yard by a bee, it is likely that you either have a beehive in the vicinity or a popular food source nearby. If you notice a lot of bee traffic in a certain area, especially in a hole-filled tree, in the eave of a roof, or in the wall of almost any building, that’s probably where your hive has formed. Is it deep inside a tree? Removal is very difficult in that case. Is it inside a wall? Can you remove siding? Before you move on, you need to protect yourself. 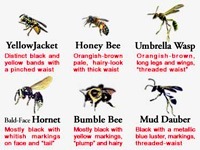 Find a bee suit or fashion your own. Gather whatever tools you think you might need. Clear everyone else away. Remember that smoke can calm bees down to a certain extent. If at all possible, it is best to relocate bees rather than kill them. This is easiest if it is a new swarm that has just gone aflight from its old hive and is hanging in one big glob from a tree branch or your porch light. If you have access to beekeeping equipment, it’s as easy as thumping the clump (queen included) into a cardboard box and then transferring the bees into a hive super-box with some frames. But if you are not a beekeeper or have no interest in being one, you should consider calling one in to do it for you. Sometimes if the bees are established inside a wall or deep inside a tree, there is no foolproof way to relocate them. Once you start digging into the hive, the bees are not going to be happy and you might lose the queen. Killing bees is easy but should be done only as a last resort. If you have no other choice but to get rid of a beehive by killing them all, just about any kind of flying insect killer will do the trick. If the hive is up higher or deep within something, the projectile wasp spray is going to be a good choice. Wait until evening or early morning when it is cooler and the bees are less active. Arrange yourself so that you can aim the spray directly into the entrance of the hive and let loose the dogs of war. Spray as much as you can into the hole, but be careful (in case the bees’ alarm is raised in time) that you are wearing protective clothing or have an escape route. Check back the next day to see if activity has ceased. If not, repeat your assault. After you have gotten rid of the bees, it’s time to remove hive material. If the beehive is out of the way in a place like a tree, you could just as well fill the entrance hole with cement, silicone, or foam and call it good. But if the beehive is inside the walls of your house, you are going to want to get that out of there. First of all, there is going to be a bunch of dead brood (larvae) and bees, which can begin to stink. Vacuum out the dead bees and pry or cut the comb and dispose of it. Tempting as it might be to taste the honey, it is all going to be garbage—assuming, of course, that you used a poisonous substance to kill those bees. If you don’t feel safe dealing with the problem yourself (and who could blame you?) but have been unsuccessful in finding a local apiarist who is willing to come over, collect the swarm and relocate the bees safely elsewhere. Then you need to call an exterminator. Depending on where the bees have chosen to nest, having a hive in your neighborhood can be dangerous—especially if there is someone with a bee allergy living nearby. A quick glance at the yellow pages or an Internet search for “bee exterminator,” along with your location, should yield several options. It’s usually best, however, to get a recommendation, so ask around to see if anyone you know has had to deal with a similar problem. 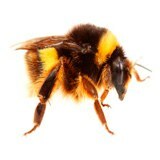 Ground-dwelling bees, like bumblebees, are pretty harmless—for the most part. That is until you are walking barefoot across your yard and step in their nest. Avoidance is best as they are a very beneficial bunch of bees, but if you must kill them, a pot of boiling water dumped down their entrance after dusk should do it. These look a little bit like bumblebees, but they are very different in the way they have chosen to live their lives. Their designation as a pest is linked to their tendency for drilling into the wood with which we build our houses. Getting rid of them isn’t too hard; check out the article for some new ideas for approaching the task. While bees are generally docile and unlikely to sting without provocation, that is not the case with their more angry cousins—the wasps. This is especially true for bald-faced hornets and yellowjackets, with which you must take great care. Click the header and check out the article for more detailed information.